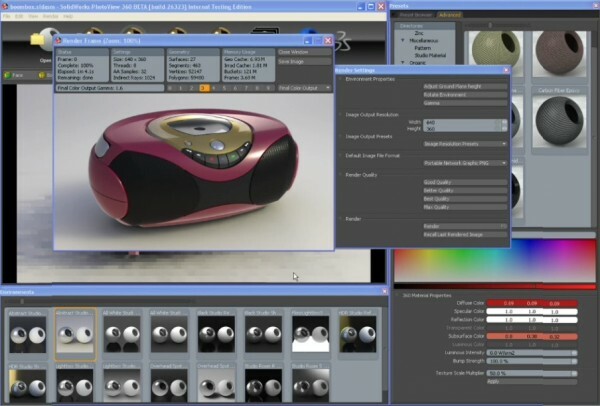 SolidWorks Developer Greg Leuenberger has posted an EXCELLENT video showing off MANY of the details of PhotoView 360. You can click on the image above to view the streaming version or click HERE to download a zipped version of the video. The video is a little over 28 minutes long…which is perfect for viewing during a lunch break! Watching Greg’s video has made me want a workstation with an 8 core processor! You’ll see what I mean when you view the video! Can anybody tell me where can i find the boombox assembly ?? I'll do some checking to see if the boombox model is available anywhere. Nice little video! great overview on the program.